As your homebrewing skills grow, adding new tools to your setup is only natural. After all, while you can make amazing beer with some pretty basic gear, who can resist the urge to upgrade? New gear puts new styles and flavors within reach, with plenty of room for fun and experimentation along the way. Get your gadget on, and power up your yeast, save time brewing, or take more precise measurements. Get more from your grains and hops, take your brewing rig on the go, or even brew a whole batch inside a robot. (Well, a brewing robot. Don’t just toss some grains into a Dalek and expect results.) Expand your homebrewer’s arsenal and take aim at creating your best beer yet. When you’re just starting out, a hydrometer is essential for measuring the specific gravity of your wort, which is the ratio of its density compared to water. 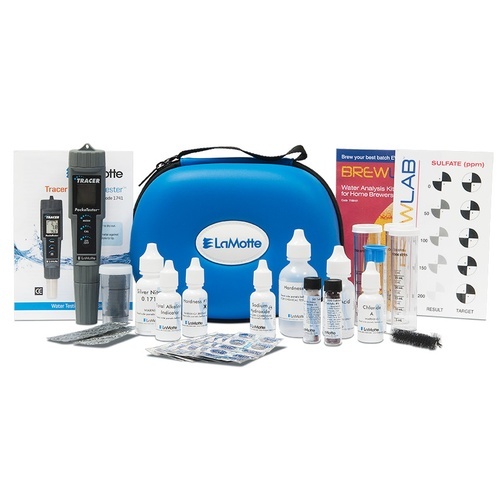 But upgrading to a refractometer If you click this link and make a purchase, we earn a commission at no additional cost to you. is the way to go if you’re looking for greater control and precision. 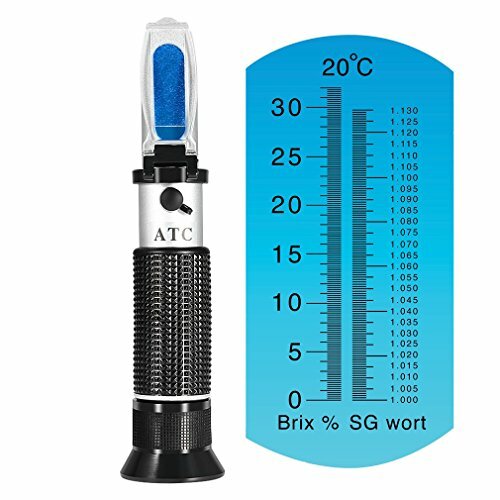 This Brix refractometer not only measures your wort’s specific gravity, but the amount of sugar present. The big advantage of a refractometer is the ability to track starch conversion during your mash. And since it has a built-in temperature compensator, you can get accurate gravity readings without worrying about variations due to heat. 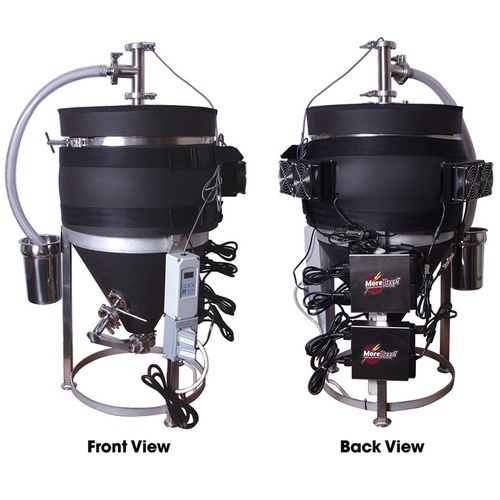 This model provides results in both the Brix scale and standard specific gravity values. Note: After fermentation, the presence of ethanol will change the way the refractometer reads your beer’s gravity. Never fear—just run your results through an online calculator to compensate and get the true gravity. A wise and mysterious old brewmaster once told us, “Brewers make wort. Yeast make beer.” Then he vanished in a cloud of folksy charm and hop pellets. He had a point: the yeast are doing all the work when it comes to transforming that sweet, sweet wort into tasty homebrew. And to do it, they need rich sugars and nutrients, a comfortable environment, and plenty of oxygen. Adequate aeration is especially important for more advanced, high-gravity beers, which often have lower oxygen concentrations due to higher original gravity. Adding air to your wort is a big no-no once fermentation’s begun, but beforehand, you want that yeast to breathe deep. 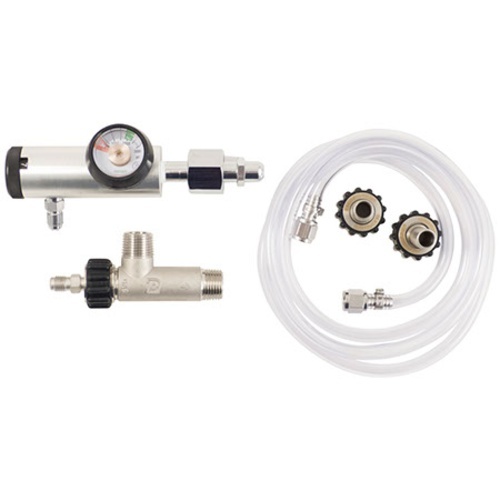 The Blichmann Inline Oxygenation Kit makes it easy to pump the oxygen levels If you click this link and make a purchase, we earn a commission at no additional cost to you. in your wort up to the recommended minimum of 10 parts per million (ppm) or beyond. Just add your own oxygen tank and give your yeast a breath of fresh air. Cleaning and sanitizing your keg or carboy? BOOOORING! Plus, time spent scrubbing or soaking is time you could be brewing. Automate the process If you click this link and make a purchase, we earn a commission at no additional cost to you. , and skip the dishpan hands, with the Mark II Corny Keg and Carboy Washer. This baby handles it all. 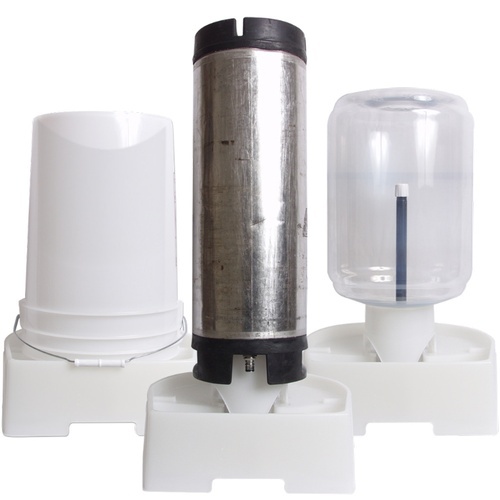 You don’t have to take apart your keg to clean and sanitize it. Plus, you can use it to fill your brewing bucket with brewing sanitizer and soak the rest of your brewing gear, e.g. tubing, airlocks, and thermometers. If you’re partial to bottling beer, you know that having to prep your bottles can be a pain. While you’re washing your carboy or brewing bucket, you can cut your cleaning and sanitizing time If you click this link and make a purchase, we earn a commission at no additional cost to you. even further with this add-on for the Mark II Corny Keg and Carboy Washer. Forget jabbing at the bottles with a brush while your brew day slips away. 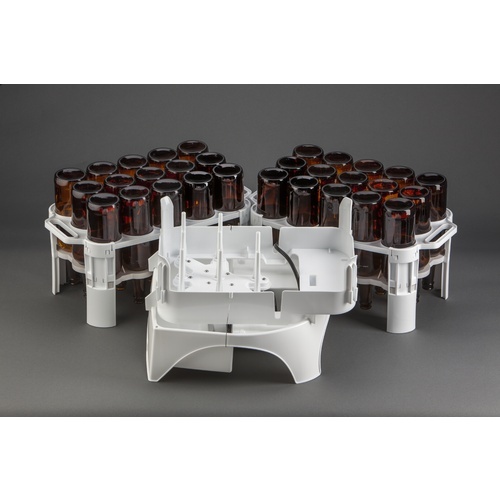 Simply load your bottle racks and run them through the washer in batches of eight for clean, sanitized bottles in a flash. If you’re not already using a hop spider, you’re working harder than you have to on brew day. Not only do hop spiders make cleanup easier If you click this link and make a purchase, we earn a commission at no additional cost to you. , but they keep hoppy debris from clogging up your wort chiller, fermenter and other gear. This sturdy model is stainless steel. 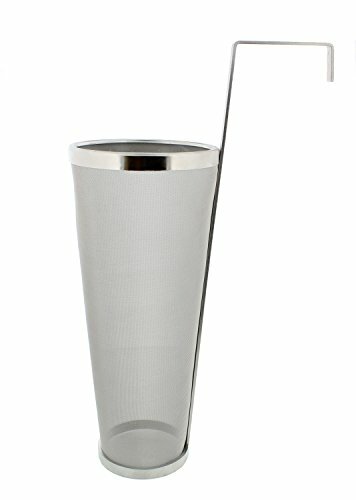 It boasts a fine 300 micron mesh, and holds up to a gallon of hops, so you can make your brew as bitter as you like. It’s even dishwasher safe. Sadly, this homebrew gadget does NOT come with a tragic backstory, snappy one-liners, or biting, ’80s-style sociopolitical commentary. What it does have is an ingenious all-in-one system If you click this link and make a purchase, we earn a commission at no additional cost to you. that makes all grain brewing a snap. 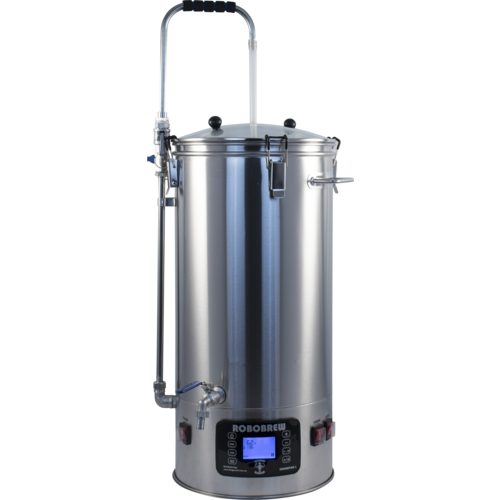 Combining a brew kettle and mash tun into one sleek steel package, the Robobrew makes it easy to upgrade from extract brewing or get into the brewing game from scratch. You’ll be crafting killer beer faster than you can say I’d buy that for a dollar! Maybe you want total control over your malts. Maybe you’re experimenting with speciality grains. Either way, you’re done with pre-crushed anything. You’re ready to start crushing malts at home. Made of stainless steel, the Monster Mill MM3 Grain Mill is built to grind harder than an aspiring valedictorian on the night before the SATs. It’s designed to help you get optimal starch extraction If you click this link and make a purchase, we earn a commission at no additional cost to you. from your malts with minimal husk damage. 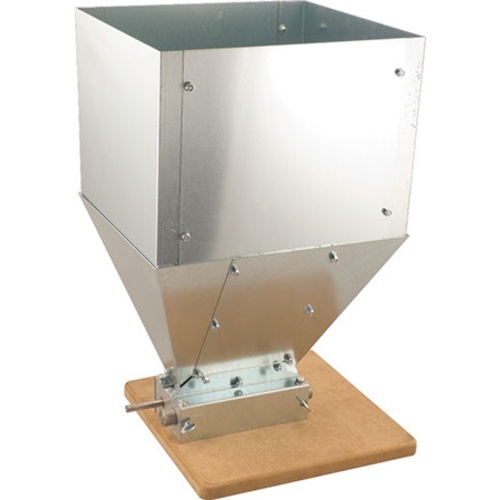 It’s fully adjustable for all your favorite styles of malt, and can hold up to 39 pounds (18 kilograms) of grains with the optional hopper extension. The quality of your brewing water can make or break your beer. From pH to calcium hardness to alkalinity, understanding how your water affects your finished beer can help you transform a good beer into a great one. A little more scientific than most homebrew gadgets, this kit contains everything you need to test for six key water factors If you click this link and make a purchase, we earn a commission at no additional cost to you. . Armed with your water profile, you can adjust it to match famous styles or balance out potential problems before they can ruin your brew. Why let winemakers have all the fun? 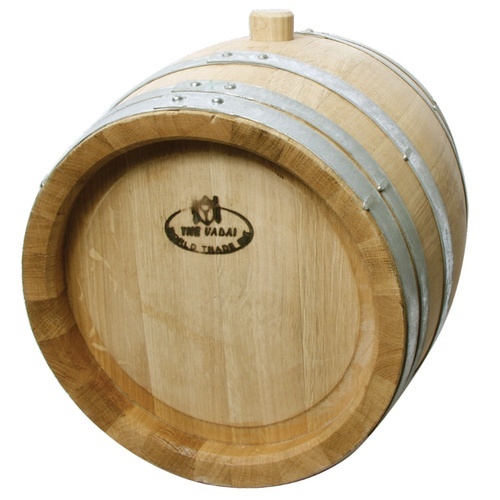 Barrel-aging your homebrew helps you achieve complex flavors If you click this link and make a purchase, we earn a commission at no additional cost to you. you simply can’t get with any other method. Made of oak, these Hungarian beauties will give your brew notes of toast, vanilla, and subtle hints of chocolate, pepper, and char. Add fruit and age your brew for even more flavor and sophistication. Like Agatha Christie fans, your yeast starter needs to be kept in suspense. Well, OK, suspension. And while a basic stir plate can handle the job, an upgrade If you click this link and make a purchase, we earn a commission at no additional cost to you. is in order if you’re looking for professional power that will boost your cell counts and keep them high. Graduate from your basic stir plate to this high-tech, fuse-protected model by Hanna. It comes with a Teflon®-coated stir bar and can handle speeds of up to 1000 RPM for optimal oxygenation and cell count retention. Sure, it’s dry, temperature controlled, and smells like beer, but your fermentation chamber is actually the opposite of Las Vegas. What happens there doesn’t stay put, but marches right into your finished beer with an emcee and a three-ring circus of flavor and mouthfeel. To create truly exceptional beer, your yeast need every advantage while they do their work. Take precise control If you click this link and make a purchase, we earn a commission at no additional cost to you. of fermentation temperatures with this homebrew gadget. Ale, lager, porter, or stout, you’ll be able to adjust the temperature of your wort within 1°F (-17°C) at the touch of a button, whether you’re sweltering in the Nevada desert or hanging out at Caesar’s Palace. NOTE: Don’t try to brew beer in the middle of Caesar’s Palace. Those centurions are downright cranky. The Internet has given us so many wonders. The free exchange of ideas. The artistic mastery of the Numa-Numa guy. Online calculators that produce flawless beer recipes. But maybe you’re offline. Or maybe you just don’t want to futz around with your phone while you’re crafting your next great beer If you click this link and make a purchase, we earn a commission at no additional cost to you. . Like the slide rule of old, this handy pocket beer recipe calculator will mark you as part of a rare breed of old-school DIY masters. 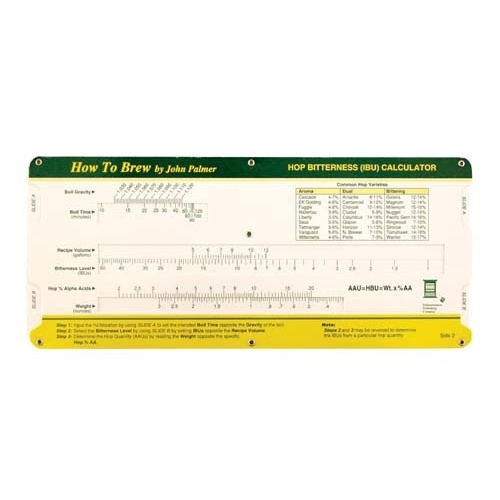 It’s tough, water resistant, and lets you calculate everything you’ll need to create great beer, from hop bitterness to specialty grain amounts to specific gravity adjustments. Homebrewing is all about handcrafted goodness. But if you’re more next-gen than old school, you can skip the library and and customize your beer recipes with this app. With BeerSmith, you can accurately create foolproof recipes on your PC or your phone. From precise grain bills to matching diverse brew styles from around the world, this software will let you create a recipe in minutes, even if you’ve never made beer before. Growing as a beermaker takes time, dedication, skill, and a luck. 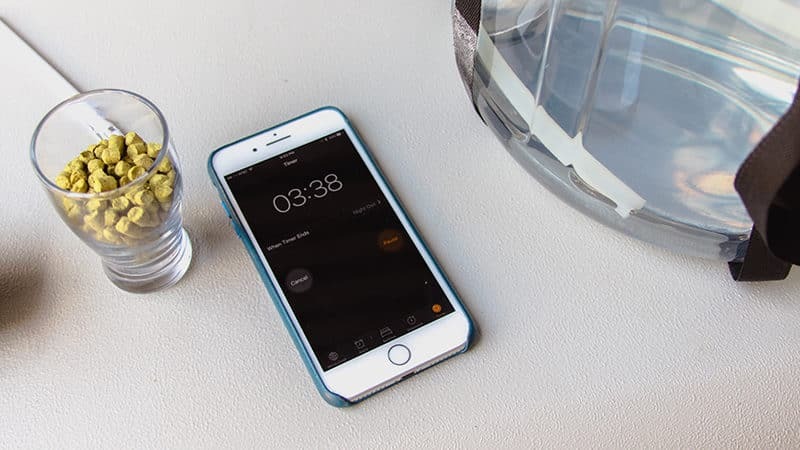 But you can boost your odds, and your beer, by harnessing the power of homebrew gadgets. With the right tools and techniques, you’ll be on your way to crafting delicious beer that moves beyond the ordinary and into the legendary.